September was a busy month for me! The highlights were both Maker Faire Orlando at the Orlando Science Center and World Maker Faire at the New York Hall of Science. You might have noticed a hint of what I have been up to over the past weeks. This post will be pretty heavy when it comes to pictures to help share the AWESOME that is the maker movement. 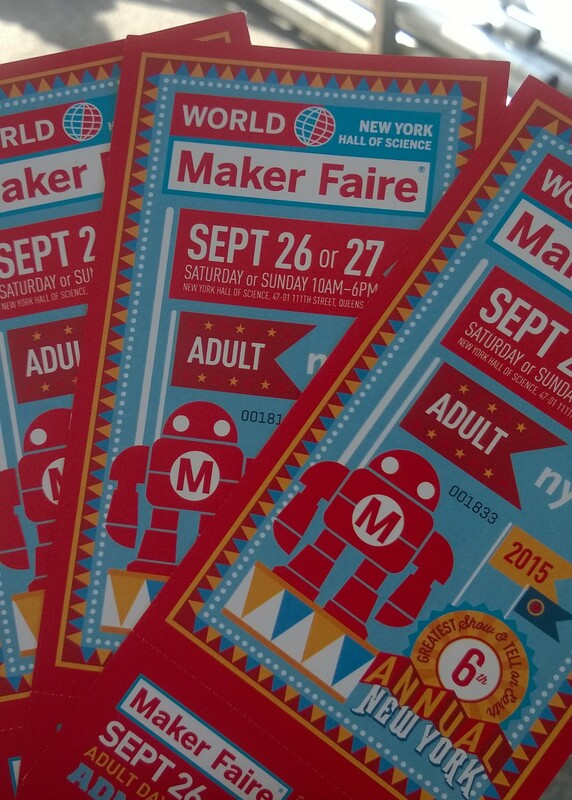 Never heard of Maker Faire? A Maker Faire is an event put on in conjunction with Make: magazine to celebrate “makers”. What is a maker? Well that is a little more difficult to understand. At its core a maker is someone who makes things. There is no age requirement to be a maker. There are lots of different types of makers. Some are ROBOT MAK3RS or people that make with LEGO MINDSTORMS. However that is hardly an official category. You might make robots, cars, giant flaming robot sculptures, paper models, apps, clothes. Making can use a range of materials from 3D printing to LEGO to metal/wood to fabric. Making is a form of expression and hands-on learning. You can checkout coverage of the LEGO MINDSTORMS Booth, including some of my bots at The NXT Step! Follow me after the break for more.